The diminutive device includes a 5" multi-touch display, with two far-field microphones and 2W stereo speakers. Two versions are available. One can sit on a flat surface and is powered by USB. The other is to be mounted to a wall where it can be hooked up to pre-existing light switch wiring. 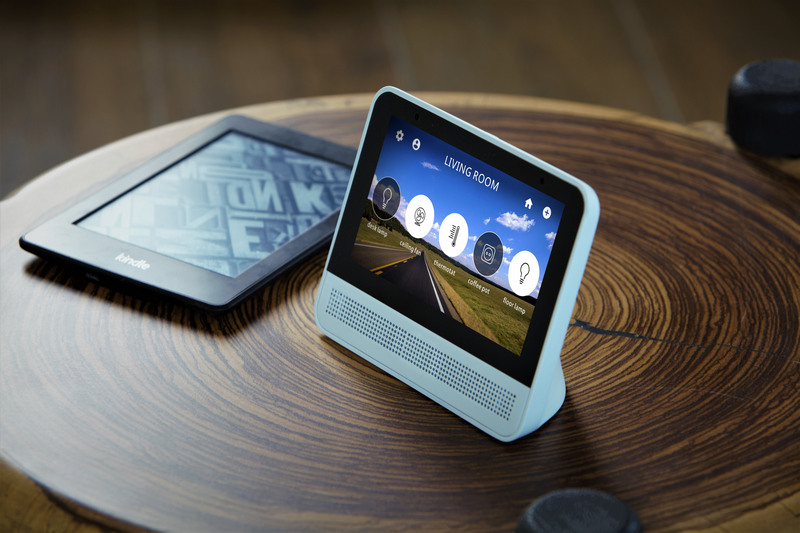 You can control Lynky using the touchscreen, Google Assistant voice commands, or even remotely with the Lynky app. The self-styled 'universal remote for home automation' can be hooked up to multiple IoT products such as those from Philips Hue, Nest, August Home, Ring, GE Lighting, iHome, TP-Link, and more. Connectivity includes Wi-Fi, bluetooth, Zigbee, and with its open API there's great potential for additional service integrations. Scenes can be set up for easy triggering of multiple actions, and native IFTTT support adds to those possibilities. Multiple Lynkys can be placed around the home, and they'll all sync with one another automatically. They can also be set up to predominantly control certain groups of smart gadgets within their own areas, although you can always control the entire house if you so wish. All of the expected Google Assistant commands are possible with Lynky, and it can be used in conjunction with any actions you already have set up. Lynky is available to pre-order today on Indiegogo for an early bird price of $99, or $188 for two. Shipping is estimated for January 2018 for the first batch. A second run will go on sale for $119, and final retail price will be $149. New York – October 24, 2017 – The growth of smart home devices has led to many users having to navigate and learn multiple apps, interfaces and devices to realize the promise of the connected home. 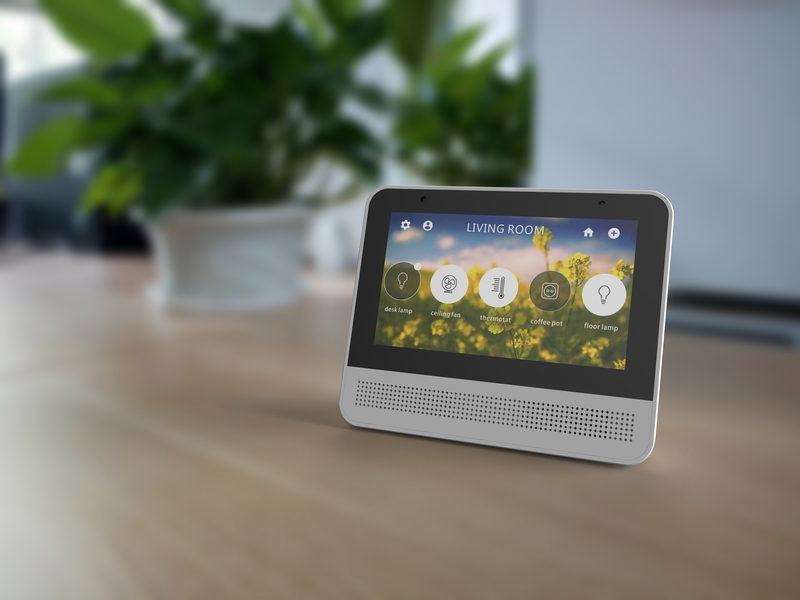 Today, Lynky is unveiling the solution to this problem – the world’s first touchscreen smart home hub with Google Assistant that can a control a myriad of IoT products with one, elegant device. Available today for preorder on Indiegogo at the introductory price of $99, Lynky acts like the universal remote of the smart home, allowing multiple products to be setup, managed and controlled with a super-simple, intuitive interface. With Lynky, operating multiple IoT devices at once becomes as effortless as using an everyday appliance in the home. Its open platform and Wi-Fi, Bluetooth and Zigbee connections allows it to work with thousands of the most popular IoT products including Philips Hue, Nest, August Home, Ring, GE Lighting, iHome and TP-Link to name just a few. Lynky comes in two formats – a desktop that can be placed anywhere in the home and a wall version that can be mounted and powered by any existing light switch fittings. The wall version can also control a light or ceiling fan that was previously connected to the switch. While a single Lynky can control actions around an entire house, multiple Lynky hubs can be placed throughout a home to provide a control panel in any room. Every Lynky can connect and sync automatically to each other. Additionally, each Lynky can be customized with the preferred smart gadgets and commands for that space. For example, while a Lynky in a kitchen might be linked to every IoT device available in a home, a Lynky in that home’s guest bedroom might only display the devices in that room and the living room. Controlling devices in other rooms is just a scroll or voice command away. 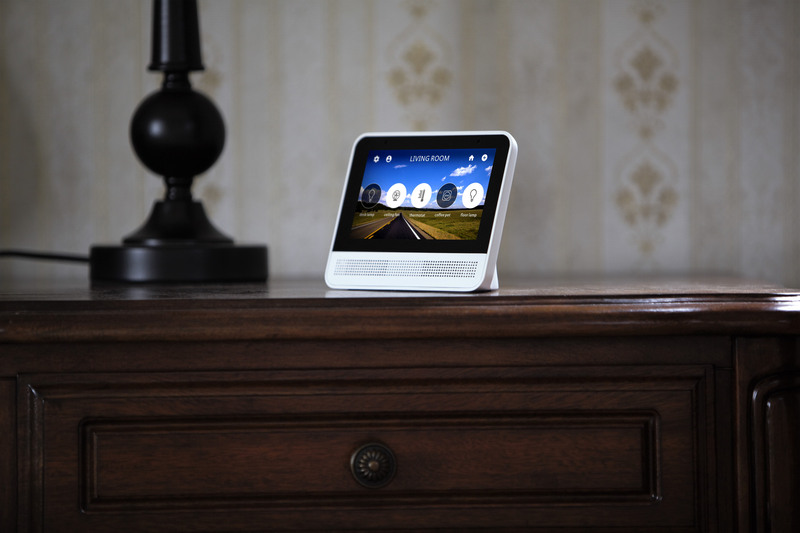 Interactions with the Lynky smart home hub can be triggered through touch, voice or even with connected devices sensing their environment and responding to predefined rules. The Lynky touchscreen can be used to connect and load any Lynky-certified smart device in just two simple steps. The touchscreen interface has been designed to be extremely simple with easy to use virtual buttons and controls. Actions can be controlled on the Lynky itself, on smartphones using the Lynky App or online through the Lynky cloud based portal when away from the home. Lynky can also be controlled by voice command and has Google Assistant natively integrated within it. It has a two-microphone array for far-field listening and allows access to the full array of Google Assistant services including getting information, news, weather, listening to music, internet radio and podcasts. 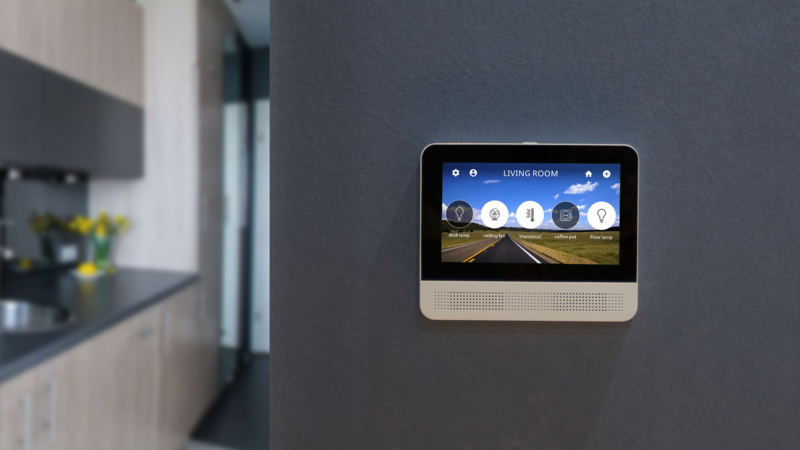 As well as controlling individual devices and actions, Lynky can be used to set scenes within the home allowing one command or touch to trigger multiple actions. For instance, “Movie Time” may automatically dim the lights, close the drapes and switch the TV to Netflix. A morning wake up scene may trigger as an alarm clock sounds, the drapes open and the coffee machine begins to percolate. Scenes are easy to set on Lynky itself through a simple drag and drop feature. Lynky also integrates with IFTTT for even more elaborate scenes, schedules and automations. The Lynky team came together several years ago with a simple mission: To make the modern smart home truly smart, but easy for anyone to use. After two solid years of development, the Lynky smart home hub is ready for production. The team designed it from the ground up, integrating the best features and concepts that they wanted in their own smart homes, and created a product that consumers will love to bring into their homes. Drawing from their combined expertise, the Lynky team is working to create a simpler and more affordable smart home experience for everyone with an eventual full lineup of smart devices.